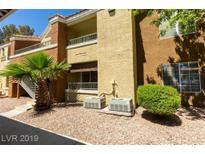 Below you can view all the condos for sale in the Broadstone Green Valley subdivision located in Henderson Nevada. Listings in Broadstone Green Valley are updated daily from data we receive from the Las Vegas multiple listing service. To learn more about any of these condos or to receive custom notifications when a new property is listed for sale in Broadstone Green Valley, give us a call at 702-803-3032. Gated Community Offers Pools, Spa, Clubhouse, And Fitness Center. MLS#2089573. Realty ONE Group, Inc.
Community Amenities offers 2 Pool, 2 Spas, Fitness Center, Clubhouse, Basketball Court, Park & Barbecue Area, Much More Schedule Showing Today! 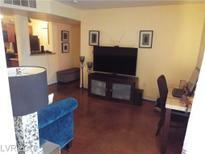 MLS#2080414. Keller Williams Market Place I.
Gated Community Offers Pool, Spa, Clubhouse, And Fitness Center. MLS#2064651. Scofield Realty Inc.. Call to view the home today. MLS#2021271. eXp Realty. These statistics are updated daily from the Greater Las Vegas Association of Realtors Multiple Listing Service. For further analysis or to obtain statistics not shown below please call EasyStreet Realty at 702-803-3032 and speak with one of our real estate consultants.